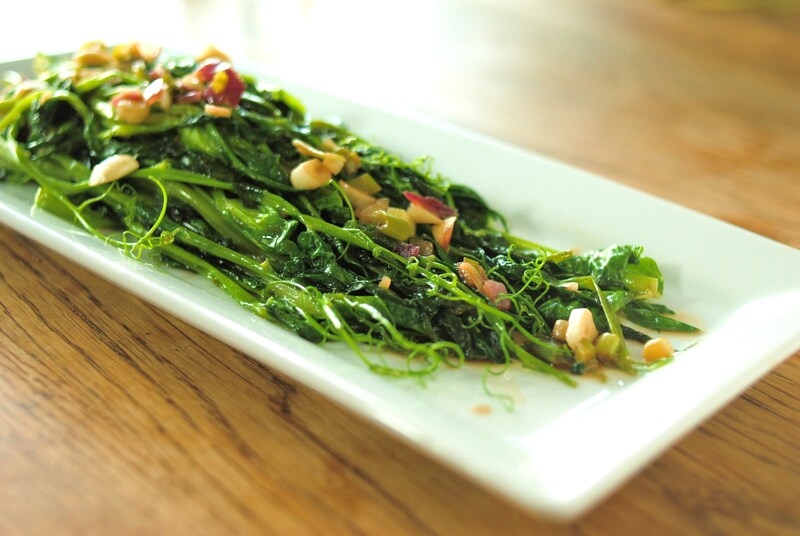 Pea Shoots sautéed in Garlic, Ginger, and Onion (low-amine, gluten-free, soy-free, dairy-free, tomato-free, nut-free, vegan, vegetarian). Pea shoots are a low-amine, colorful, tender, fun dish to add to any meal (who doesn’t like a vegetable with so many curly-Q’s in it?). 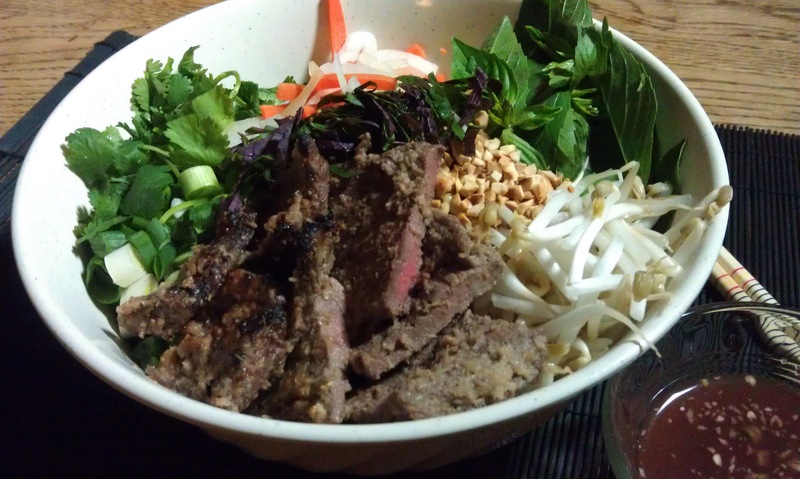 It’s light, and comes together very well with the low-amine sauce used. 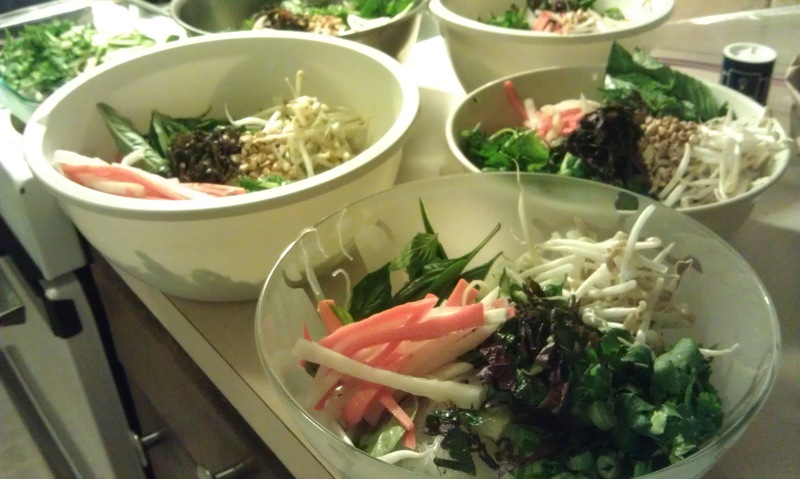 It is simple to make, and can work as a low-amine entrée or low-amine side dish. Mix sugar, sesame oil substitute, soy sauce substitute, corn starch, and ginger together. Stir until sugar and corn starch are dissolved. Set aside. Heat 1 Tbsp safflower oil in wok on high temperature. Add garlic and red onion. Cook until fragrant and onions are starting to go translucent. Add pea shoots and toss rapidly so that the pea shoots cook quickly and evenly. When they start to soften, add sauce mix and continue tossing pea shoots. 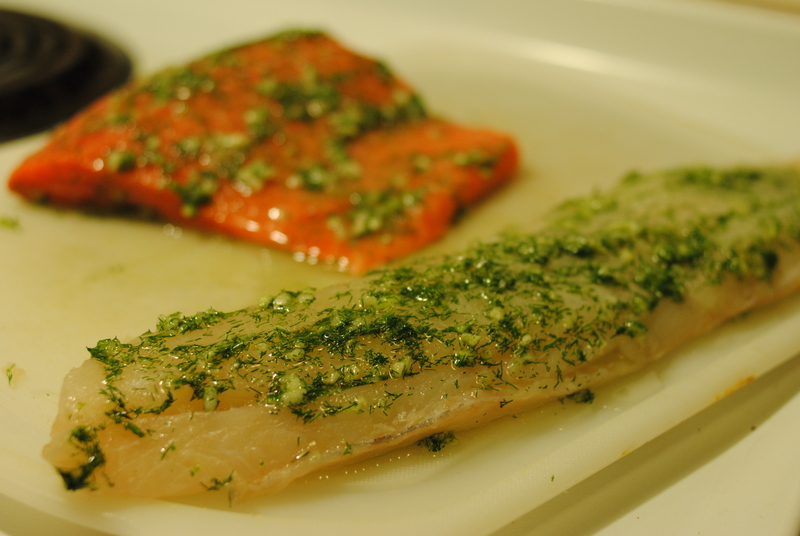 When cooked to desired doneness, remove from heat and plate immediately. Low-amine Garlic Green Beans (low-amine, gluten-free, soy-free, dairy-free, nut-free, tomato-free, egg-free, fish-free, paleo, low-fat, low-carb, vegetarian, vegan). This simple, low-amine side dish is delicious, filling, and easy. 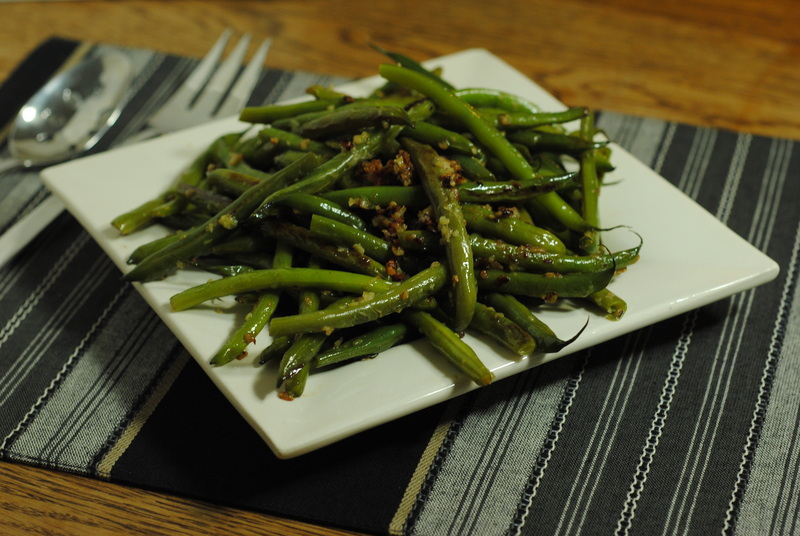 Low-amine Garlic Green Beans are a lovely accompaniment to almost any meal. Low-Amine Green Beans, Washed and Prepped. 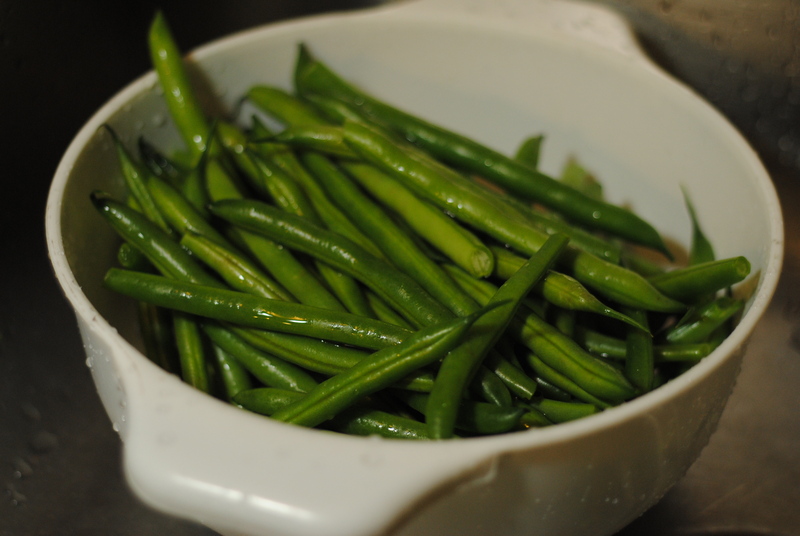 Cook green beans in a double-boiler to steam them. When they have reached just under-done, remove from heat. Heat oil in a large non-stick pan. 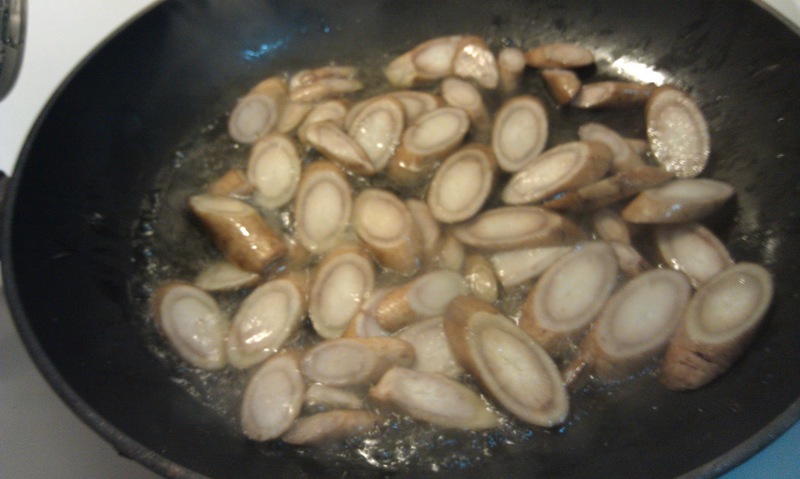 Add garlic and cook till fragrant. Add green beans and toss well. Cook until green beans have reached desired doneness. Sprinkle with salt & pepper. 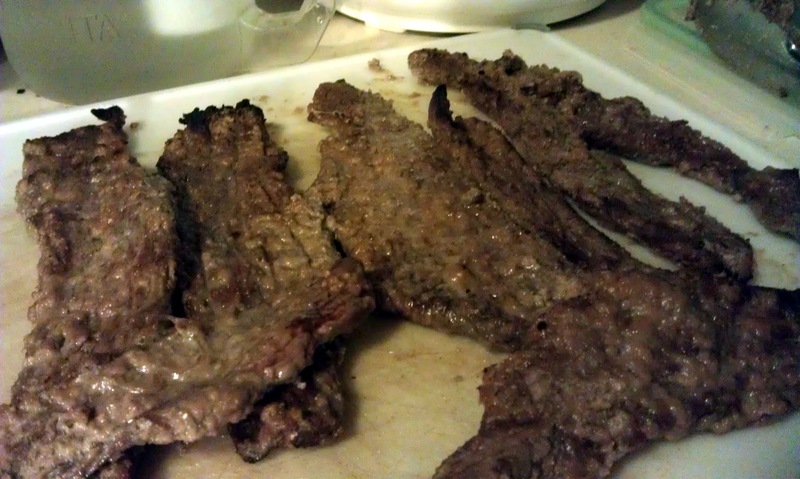 I also made two different marinades for the beef (since I was cooking for several people this time around). Both were very good, so either would work well, depending on what ingredients you have. Personally, I preferred the garlic ginger beef marinade. Feel free to substitute beef with firm tofu for a vegan or vegetarian option, or omit completely. If nut-free, simply omit nuts. There are so many flavors going on that you won’t miss it. Promise. I never would have known that zucchini had a “second” flavor, had it not been for NPR. Thank you, NPR, for making me realize that zucchini, when what I would have considered to be dreadfully overcooked, is actually a glorious thing if done right. Go figure! Slow pan-roasting zucchini brings out a very nutty flavor that’s much richer than what zucchini originally has to offer. 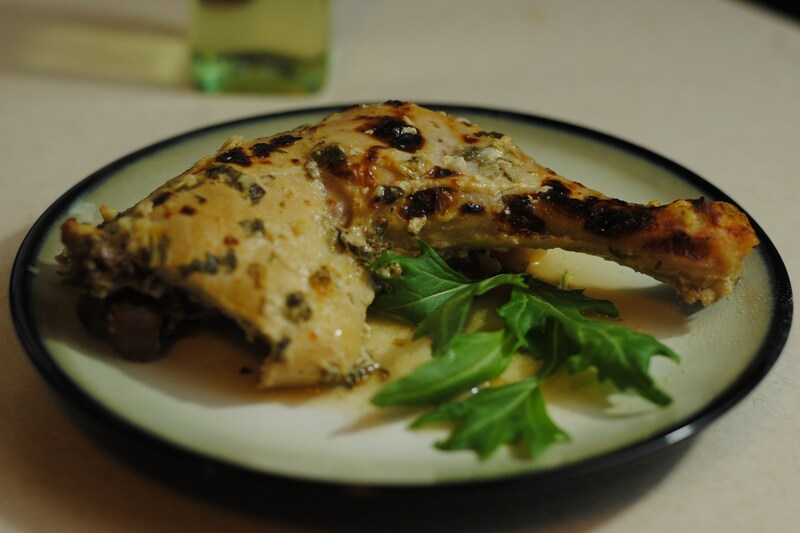 To compliment this, we’re going to serve it with toasted cashew pieces. 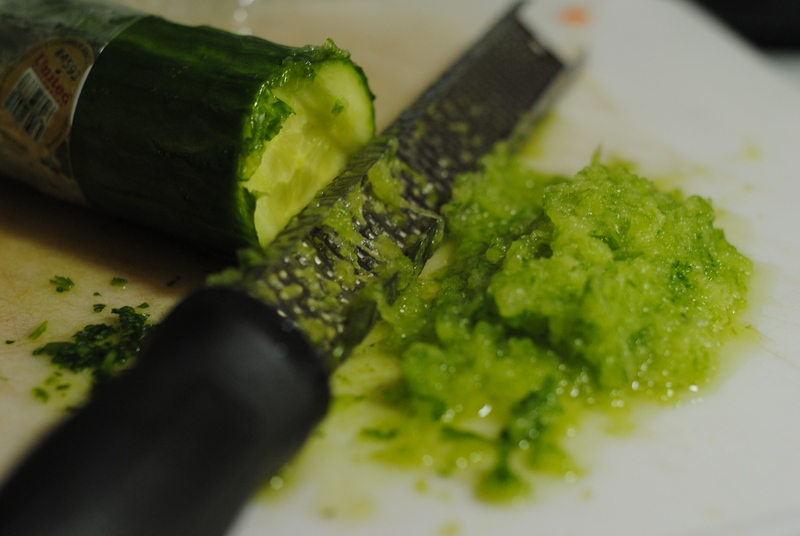 4 small zucchini, cut into quarter-inch thick rounds. 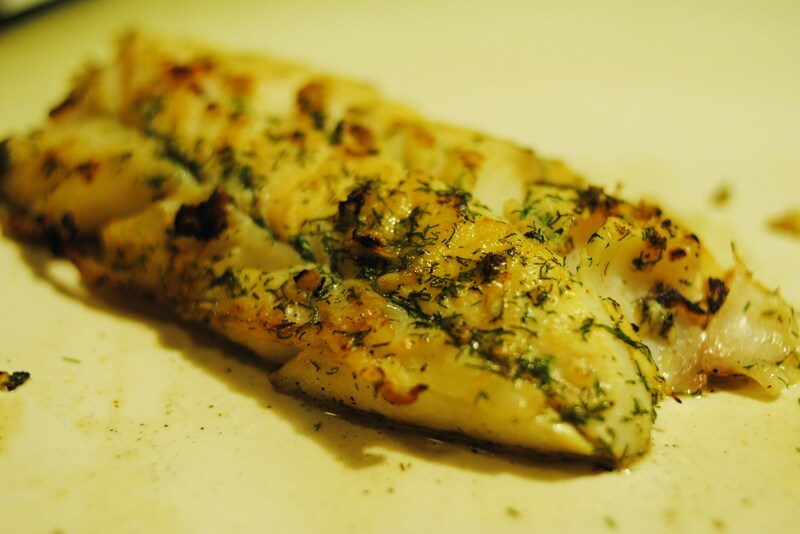 In a large (non-stick preferred) frying pan, add butter and turn to medium low. 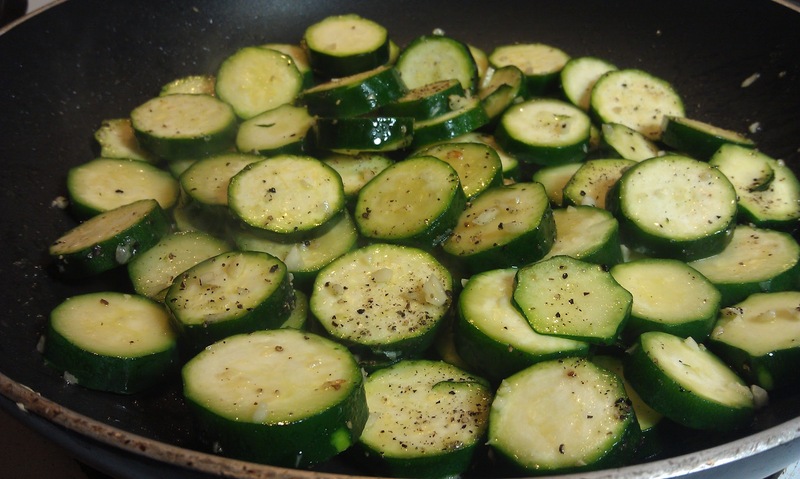 When hot, add zucchini, garlic, and black pepper. Salt to taste. Toss well in butter. Cook zucchini for 3o minutes, slowly, occasionally giving the zucchini a toss. Meanwhile, in a dry pan on medium high, add cashews. 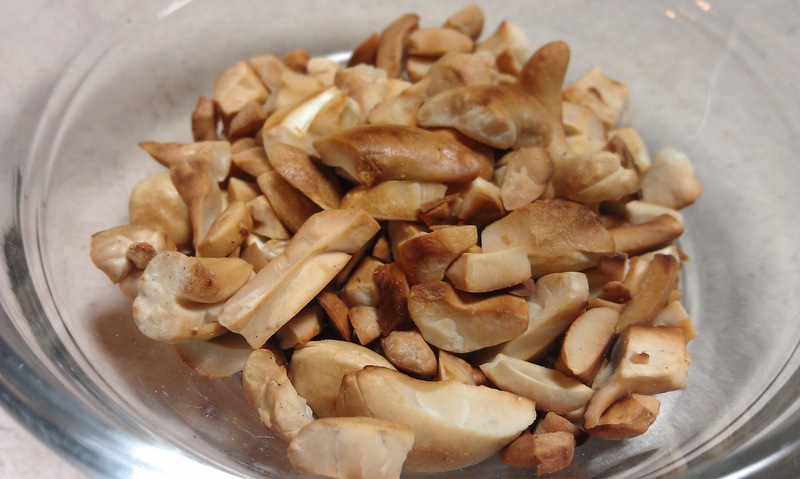 Keep cashews moving in the pan, and when they take on a lightly toasted color, remove from heat and set aside. I pour mine into a separate ramekin so that they do not overcook in the pan. When pan-roasted zucchini are done, gently fold in cashew slivers. For a proper simple stir-fry, you’ll need a wok, high heat, and a good sauce. 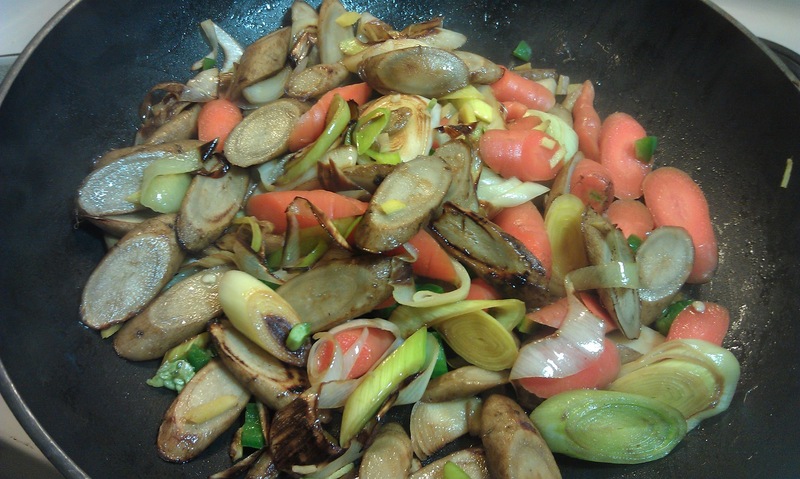 Stir-fry is one of the more easy things to make, and can be done with any number of ingredients, spices, and sauces. 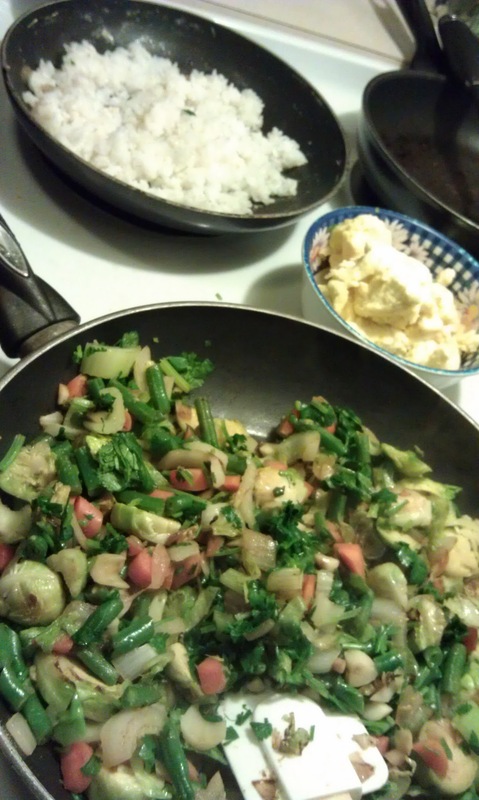 The key to a good low-amine stir-fry is knowing what order to throw your ingredients in the wok, and slicing things uniformly. 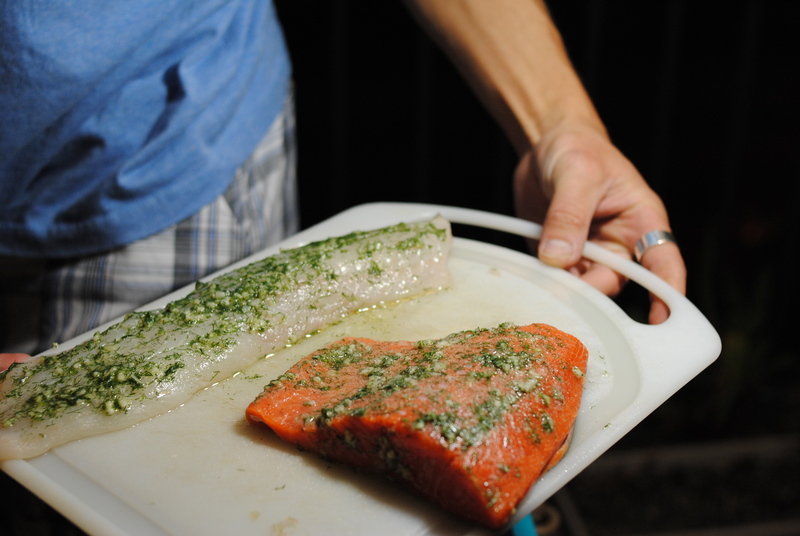 Heat your pan to medium-high and add a couple tablespoons oil. Burdock root (gobo root) just added to pan. I also add a little water to soften them because gobo root is so tough. 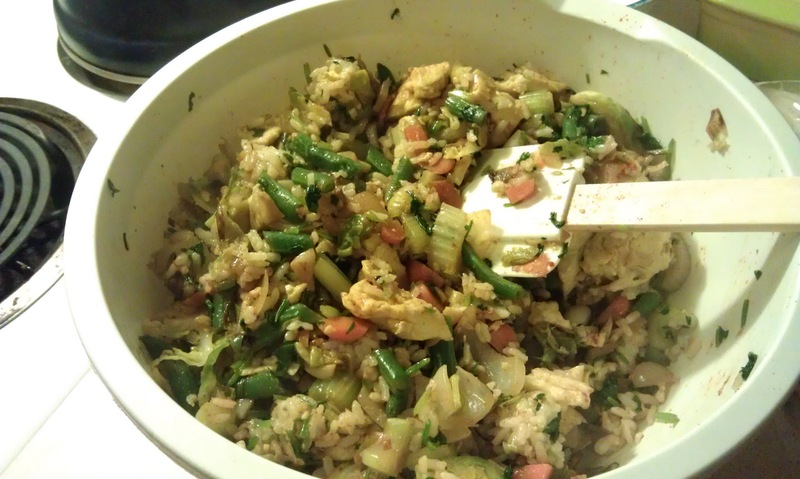 This was covered and cooked for 5 minutes before any other ingredients were added to the low-amine stir-fry. Add all ingredients in each “timed section” at a time, stirring/tossing ingredients in pan frequently. I wait till each added ingredient is about half-cooked before moving on to the next “batch” of ingredients. This timing gets closer and closer together as you move toward the end. 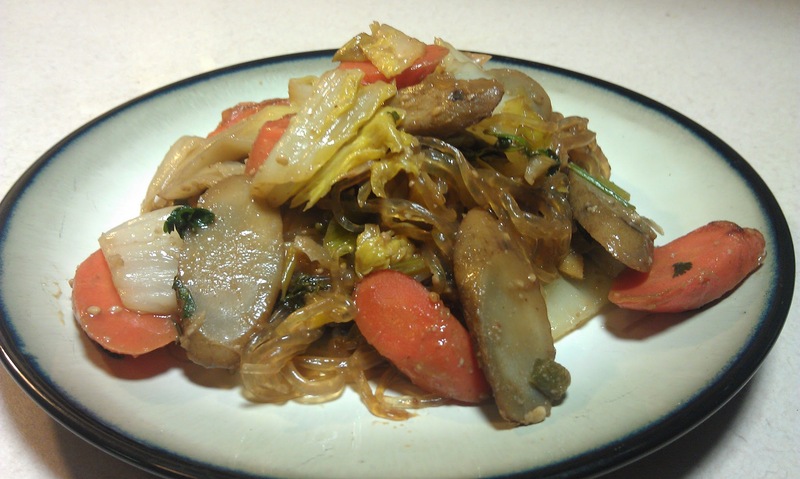 Burdock root (gobo root) and leek have been cooking, and carrot has just been added to the low-amine stir-fry. 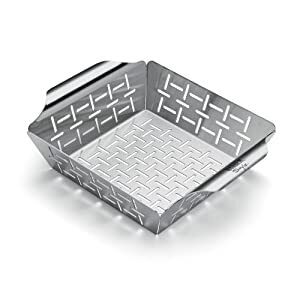 If things are sticking, reduce heat to medium, add a tiny bit of water (1 or 2 Tbsp), and cover. If your vegetables need more moisture to cook them throughout, add a little water and cover. If your stir-fry is producing too much liquid, leave uncovered on a higher heat. Make sure you keep the ingredients moving in the pan (especially on a high heat) so that they don’t burn. 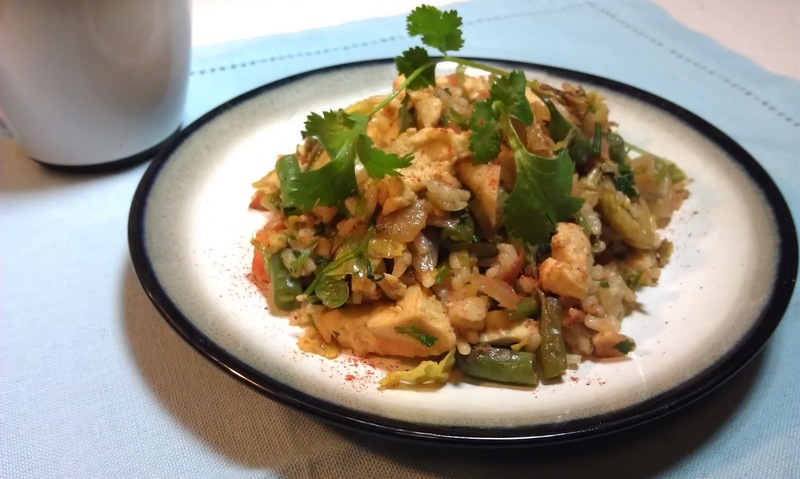 Enjoy your low-amine stir-fry served with rice or on its own. 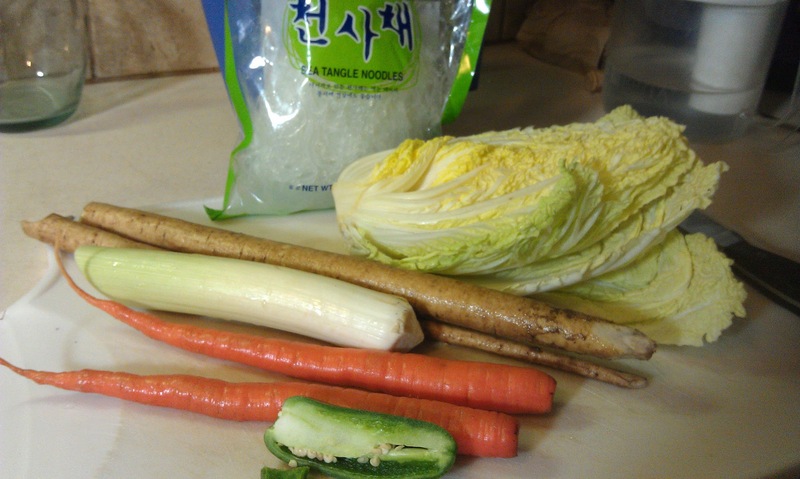 My low-amine stir-fry included: napa cabbage, gobo root (burdock root), leek, carrot, jalapeno, kelp noodles, and a sauce made up of 1/2 C soy sauce substitute, 2 tsp sugar, 1 tsp corn starch. Amine content in food depends on ingredients used. Please see Low Amine Grocery List to find out about each ingredient used. 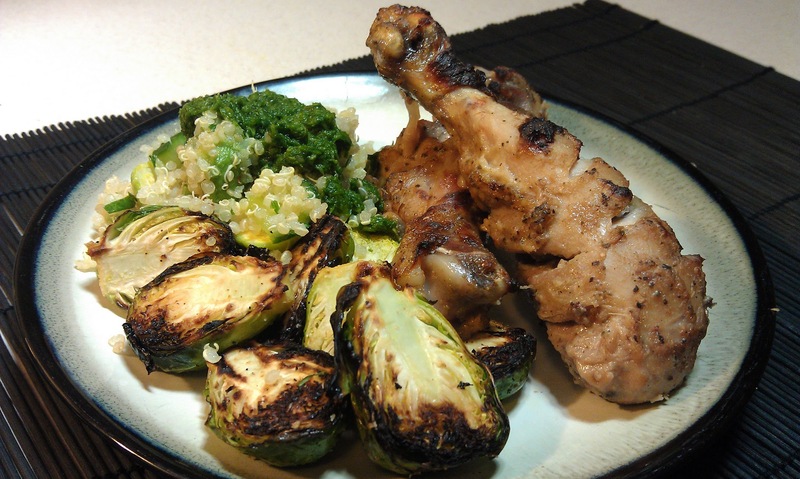 Garlic broiled Brussels sprouts, served with Quinoa Salad, Cilantro chutney, and Baked chicken marinated in pear, sage, and ginger. 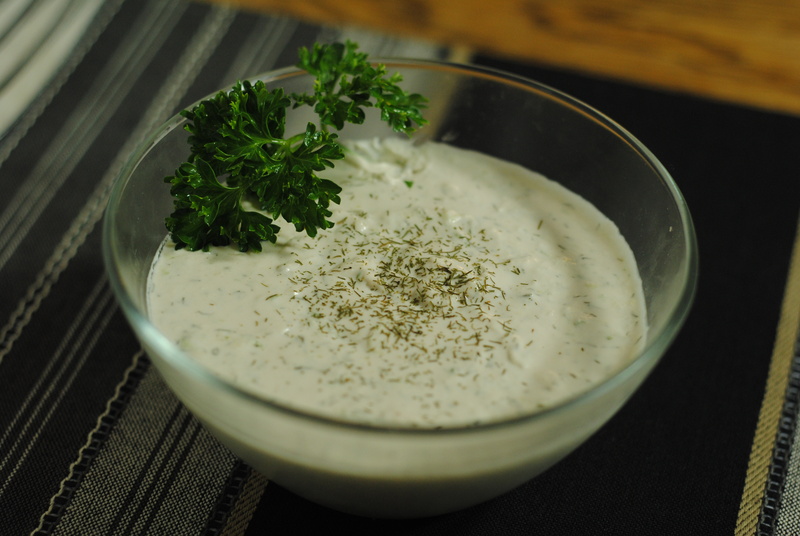 This simple, easy side dish is delicious and quick. 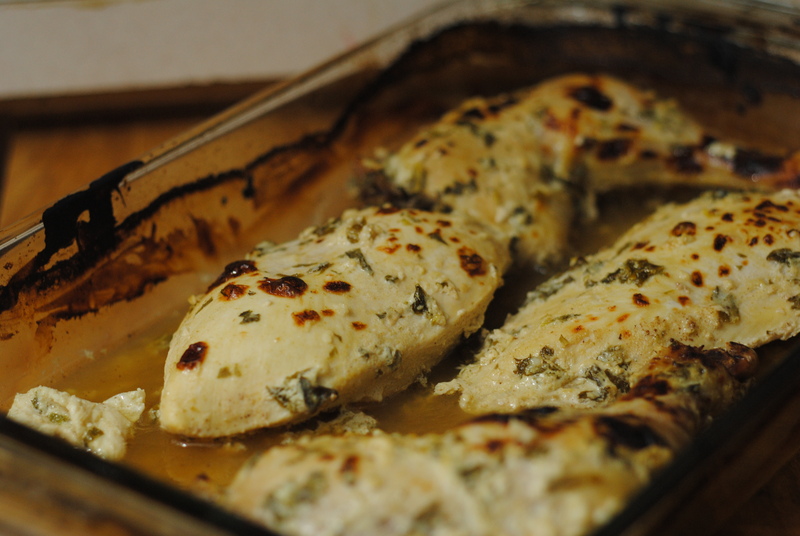 It’s nice to have some fast low-amine recipes that can be cooked quickly and set aside to keep warm – especially when you have other things that need to go in the oven. I cooked these garlic Brussels sprouts before putting pear-marinated chicken drumsticks in the oven, and they were still warm when the chicken was served a half-hour later. Preheat oven to broil, with the rack at the top. Wash all Brussels sprouts and cut in half lengthwise, and put into a large bowl (a thick glass bowl is best). 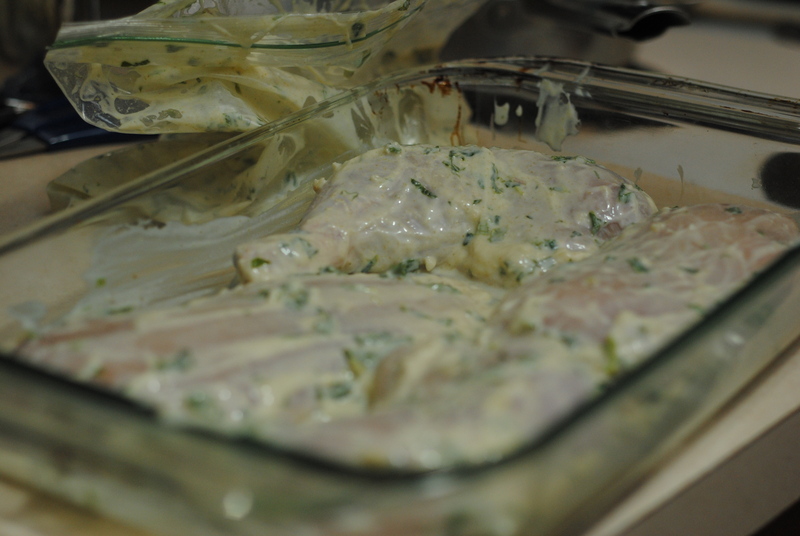 Drizzle oil and seasonings on top, and toss well until everything is well coated. 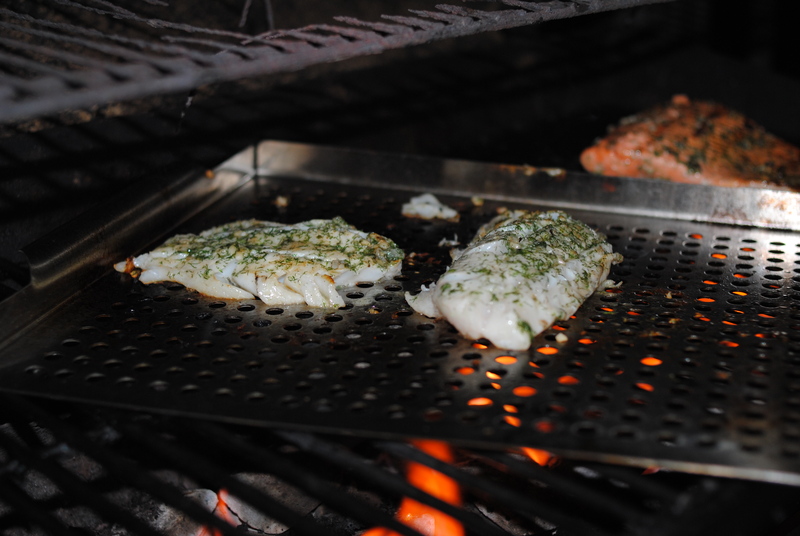 Lay on a cookie sheet, cut-side up. Broil for about 5 minutes, or when they start to char. Serve immediately, or put back in the “tossing bowl,” cover with foil, and wrap the whole bowl in a towel to keep it warm.